We “support the Bascomes and hope that, in coming out in this way, the service they have done for others who are struggling in secret will help them heal,” Shadow Minister of Community, Youth & Sports Development Michael Weeks said. 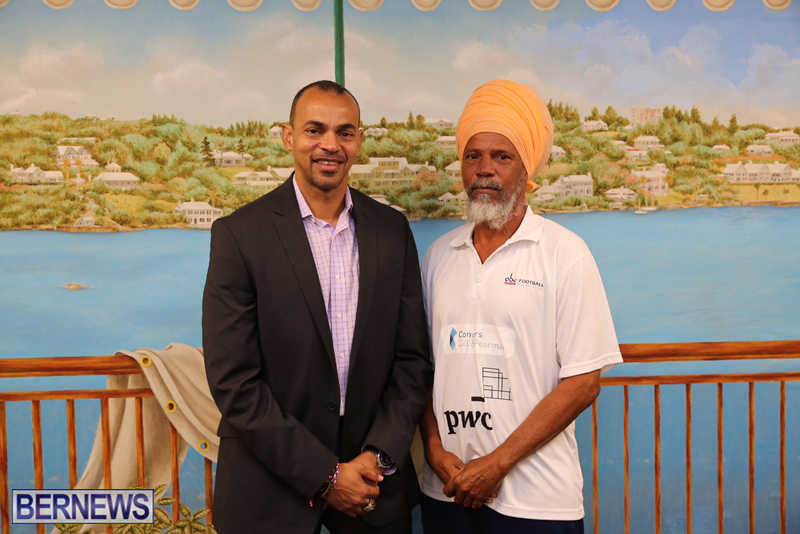 Mr Weeks said, “Yesterday, Bermuda bore witness to great courage when Coach Andrew Bascome and David Bascome publicly revealed that they are survivors of childhood sexual abuse. “By doing this they have given a voice to the many victims who are afraid to speak out. I hope their words will show others that there is no shame in this, that they deserve to be protected, and that they have been failed in this regard and that is a great tragedy. “Bermuda has many social problems and community divisions. Dangerously, these issues of sexual abuse have been concealed beneath the surface for generations. This is an old affliction, one that results in untold emotional hardship and shattered lives,” Mr Weeks continued. “Many in our community are suffering the ramifications of sexual abuse at a young age. We recognise that this childhood trauma is often a root cause of alcohol and drug abuse, depression, anxiety, social isolation and poor academic achievement and we must provide proper support for these individuals who have suffered. Prevention and protection of children should be an utmost priority for our society. “We in the PLP support the Bascomes and hope that, in coming out in this way, the service they have done for others who are struggling in secret will help them heal. We cannot predict how any individual will recover from these injustices, but we can make a dedication to do better. “Local clubs, churches, charities, summer camps and schools have taken the mantle and proactively incorporated procedures to protect the children under their care. We, as legislators, must follow their example. “SCARS Bermuda has outlined the many deficits in our system and offered solutions, which we should act upon, including requirements that those imprisoned for these crimes complete mandatory counselling before release. “Although we stand with these victims, until we have done this and other recommended actions, we cannot provide them with the justice and assistance that will enable them a peaceful and happy future and protect future generations from these same ordeals. We must do better. “We again admire the Bascomes for their bravery and their efforts to provide a safe space through a football program for all children. They are to be commended for their work,” Mr Weeks concluded.